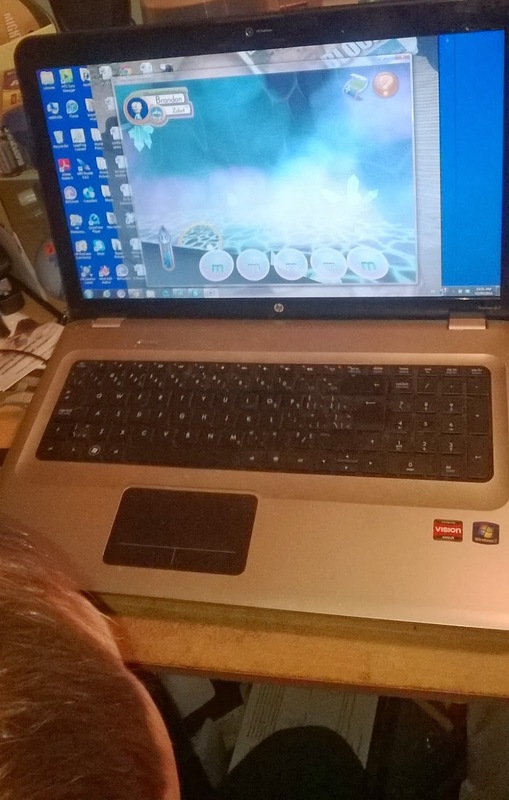 My oldest is only in Kindergarten but I am always looking for fun ways to help him with his learning and development so I was very excited to get the chance to test out a new learning game for children and he was even more excited for the reason to use Mommy's computer lol. We have been learning and playing on Ooka Island Adventure and I am amazed at how well he is doing! Our first try involved a lot of questions and what do I do mom? but after I showed him that he just needed to listen to the character on the game for his instructions he took off and was playing the games by himself in no time! The games are simple and fun and don't take a lot of time which means his interest is held and he is always eager to play again. He even calls Ooka Island his "game" so he must be having fun. The game starts off with listening for letter sounds while riding a mining cart through the tunnel and progresses through the different levels. I love that there is a learning portion followed by the reward of some faster paced fun. Like jumping up the letter wall to drive your skateboard down the mountain..and yes now he wants a skateboard! My 5 year old LOVES playing Ooka Island Adventure and I can already see that he is learning and progressing in the short time we have been playing. We will defiantly continue having fun being Hero's on Ooka Island!